Cebek T-7 is a binary coded decimal (BCD) decoder, it has four relays which correspond to 0,1,2 and 3. 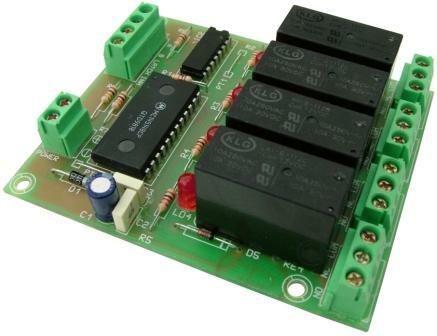 The main advantage is the incorporated function "Latch" or "Strobe" which allow to multiplexed control of several modules with a single BCD code . An LED gives visual indication of the relay.